Olusegun Osaniyi a.k.a Lord of Ajasa is a native of Akure, Ondo State. He was crowned the Lord of Flavor (Ajasa is Yoruba term for flavor) in his polytechnic days in Ondo state, where he majored in Quantity Survey. A potent lyricist etched in deep Yoruba lingua, Lord of Ajasa made it trendy and hip to Rap in Yoruba dialect, inspiring a crop of up starts to follow in his foot steps. Ajasa emerged into the lime light with the track titled “Ma yi lo” in 2000. In 2005 he dropped the rave single ‘Otiya’ that shot him to a status of reckoning before entertainment pundits and music lovers all over Nigeria. The success of the single led to the release of his debut album titled ‘It’s Too Much’ under the imprint of Platinum Records that same year. 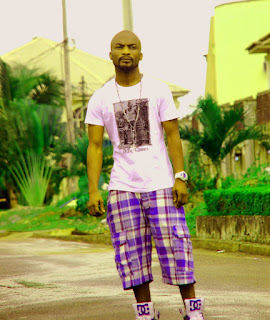 Lord of Ajasa has headlined and featured in various prime events in Nigeria. He is the most sought after artiste both by promoters and fellow artistes alike. Having had more featured appearance than any known Hip Hop act in Nigeria due to his creative and energetic musical abilities. His impact has been acknowledge by institutions that have deemed it worthy to honor his creative ingenuity, winner of the Best Rap Indigenous Category of the Afro Hip Hop Society Awards 2001; Nominee in the category Lyricist On The Roll in Hip Hop World Awards in 2006. The monstrous hit 'Le fenu so' artiste released two other singles this year titled 'Omo Akin' and 'Gba fun'. 'Anywhere I Dey Go' would be his third single, produced by ID Cabasa. Video is in the works..